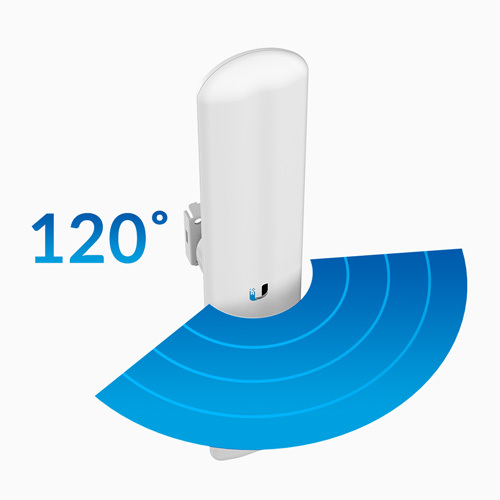 The LiteAP ac features a 2x2 MIMO antenna and communicates with multiple airMAX ac CPEs within a 120° coverage area. 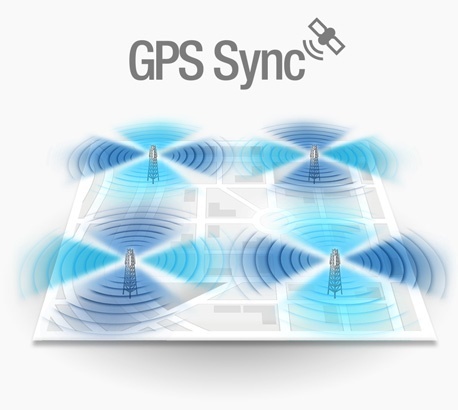 LiteAPTM GPS supports GPS Sync for faster, more scalable, carrier-class networks, with 90% higher throughout than competing solutions. 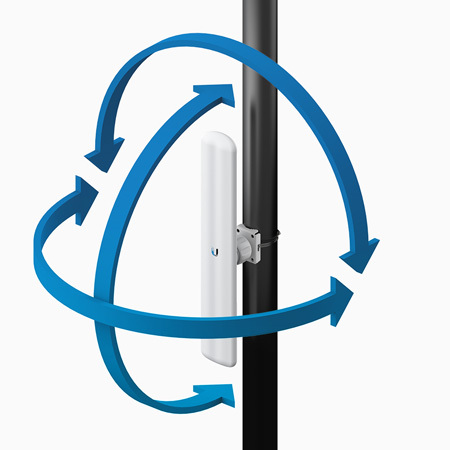 The LiteAP ac features a lightweight antenna with an integrated radio in a sleek and highly efficient design. Featuring the freedom of three-axis alignment, the LiteAP ac fully assembles in seconds – no tools needed. 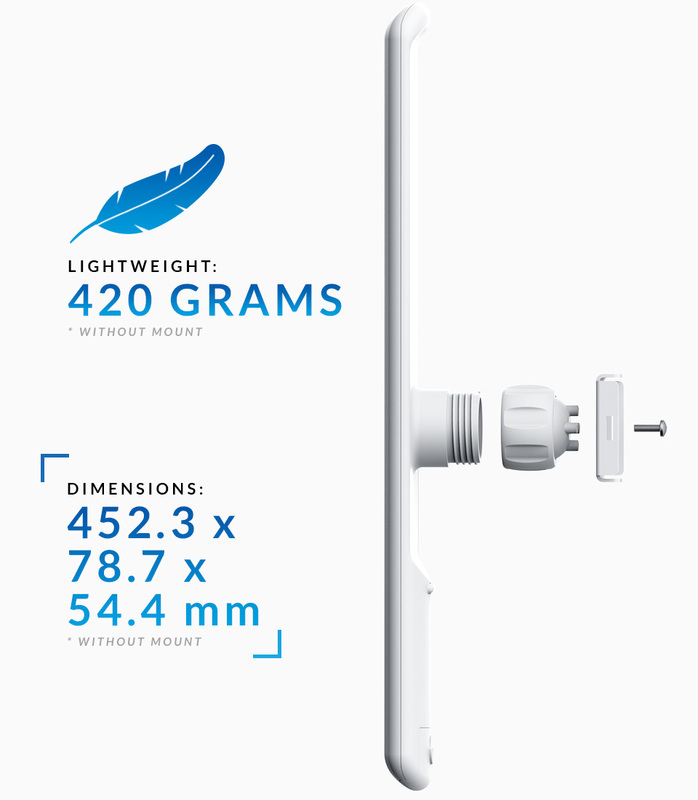 Only a single wrench is required for pole-mounting.